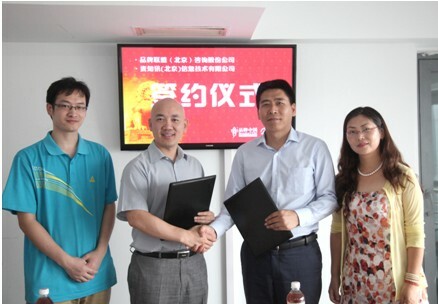 On 16th Aug, Brand Union Consulting Co,ltd and Mai Knows (Beijing)Information Technology ltd ,signed a cooperation agreement in Beijing. 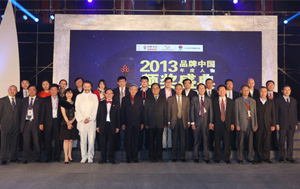 Yong Wang,the secretary of Brand China Industry Union, ChengSheng Xiao, the director of product department, the CEO of Mai Knows ltd , LiFangJing, the director of marketing department have presented the ceremony. At the beginning of the meeting, YongWang gave a high appraisal on the cooperation. He said “Brand China and Mai Knows ltd are totally different type of companies; each company has its own strength. Brand China has massive client resources and brand impact. Mai Knows Ltd is an expert in internet field. Our cooperation is a two win situations”. Guangfeng Zhu said “it is our pleasure to cooperate with brand china, we have sufficient experience in internet monitoring since 2007, and the framework is already mature, but still not out of dated. Mai Knows has accumulate a lot of experiences which are similar to the needs of the brand and enterprises, hoping to rely on the platform of Brand China to play and contribute more to the enterprises and China Brand . At present, Chinese economic globalization accelerating, making the brand more competitive and more important, which has become the intangible asset and core competences . 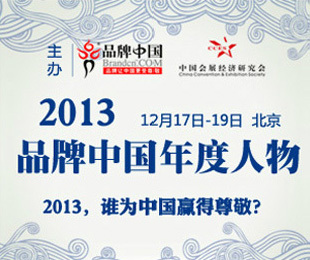 Brand China Industry Union ( BCIU for short ) is the first platform of brand activities and spreading in China. It is an unincorporated, activity and academic civic union that is committed to the promotion of Branding of Chinese Industries & Industrialization of Brand China. 2009 Copyright Brand China Industry Union Co.,Ltd.All Rights Reserved.